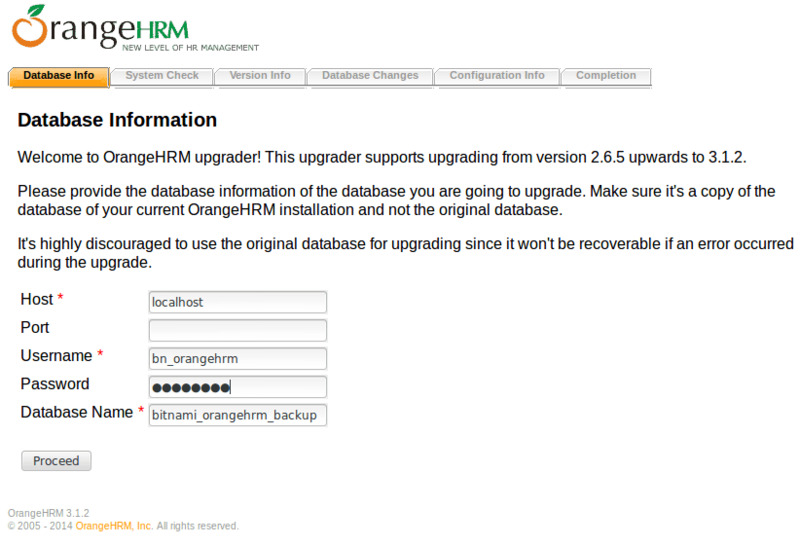 Back up your current OrangeHRM database. Create a new database and assign permissions to the user of the orangehrm database. Remove the actual content of the /opt/bitnami/apps/orangehrm/htdocs directory and uncompress the new version of OrangeHRM to the same location. Complete the fields as is shown in the image. The password is the same that you put in the “GRANT ALL PRIVILEGES” command. Follow the remaining instructions.